Watercolour Master Artist David Poxon will lead a 2 day workshop in the beautiful city of Bruges in Belgium. Bruges’ histor y stretches back to the 9th century when it was founded by Vikings. 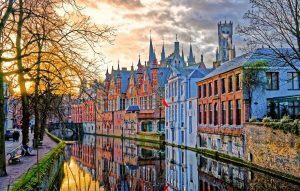 Indeed, the name Bruges (Brugge) is thought to derive from the old-Scandinavian word ‘Brygga’ meaning ‘harbour’ or ‘mooring place’. The river Zwin linked the settlement to the North Sea and it very quickly became an important international trading port. The history of Bruges is one of rise, fall and rise again. In the 12th century, Bruges gained city status, but soon after the Zwin started to silt up. Bruges adapted by creating outports in Damme and Sluis; simultaneously, land transport became more and more prevalent. 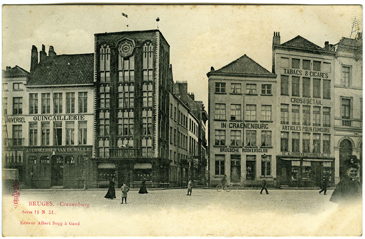 Traders from all over the world continued to flock to the city to sell their wares and to buy internationally-acclaimed Flemish cloth, which was produced in various cities, including nearby Ghent. 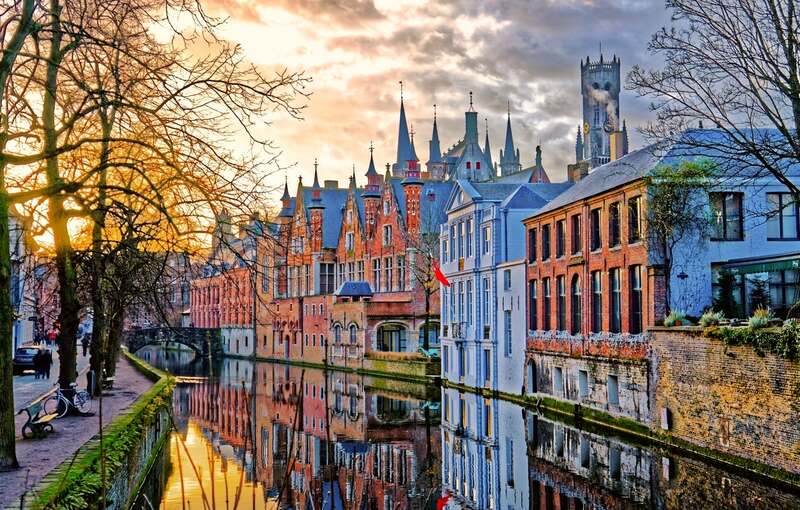 In the 14th century, Bruges developed into the warehouse of the North-European Hanseatic cities. Several countries, such as Italy, Germany and Spain, had their own representation in Bruges, making it a truly European center where different languages could be heard daily and where exotic products could be found. Bruge has long been a destination for artists. 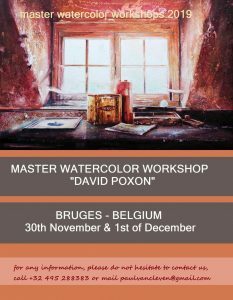 This will be David Poxon’s third Master watercolor workshop in Bruge and is expected to sell out quickly. David’s book Watercolour Heart & Soul published in 2018 and available on this web has been a big hit amongst watercolor enthusiasts in Belgium, Holland, and France.